Shiny, gorgeous keyfobs. 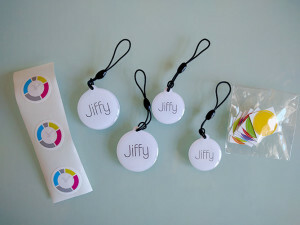 Color stickers are part of our unique NFC key fob approach. 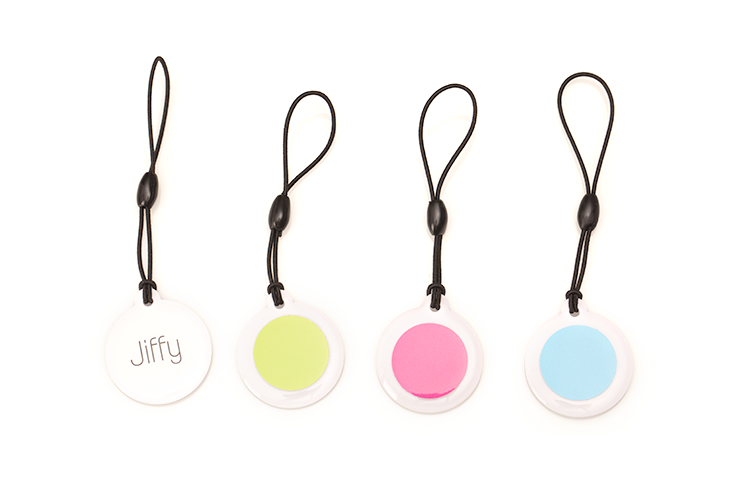 To keep track of which keyfob starts what, simply use stick the color of your project onto the keyfob. 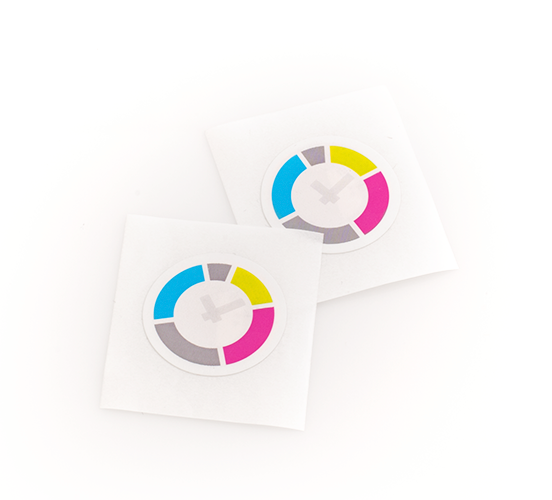 These sleek NFC sticker tags are great little reminders. Stick them to things that you have close by when you work, like notebooks, folders or even on the side of the screen and just scan them to start time tracking.